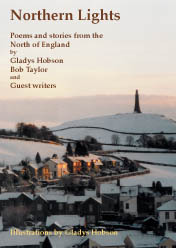 The authors mainly live in the North of England. An interesting mix of stories and poems, from light laughter to dark humour, charming tenderness to heavy drama. All this adds up to a book that can be picked up and read through, or used to while away a few spare moments, whether travelling, on holiday, or at home. Altogether, the book displays a considerable diversity of thought and ‘voice’. The illustrations add further interest.